A pig is any of the animals in the genus Sus, within the Suidae family of even-toed ungulates. 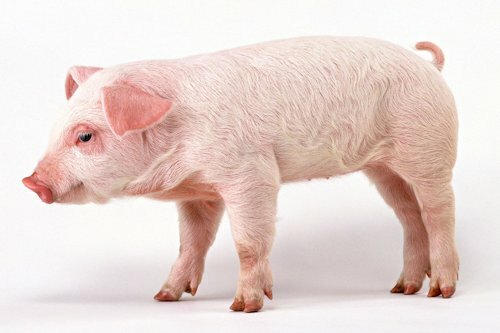 Pigs include the domestic pig and its ancestor, the common Eurasian wild boar (Sus scrofa), along with other species; related creatures outside the genus include the babirusa and the warthog. Pigs, like all suids, are native to the Eurasian and African continents. Juvenile pigs are known as piglets. Pigs are omnivores and are highly social and intelligent animals.